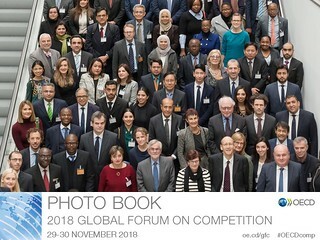 The Global Forum brings together high-level competition officials from over 100 authorities and organisations worldwide to debate a wide range of key and emerging competition issues including the link between competition policy and other cornerstones of economic development. Debates at the 2018 forum focused on competition and fairer societies, gender, regional competition agreements, investigative powers and state-owned enterprises. Over 100 competition authorities, international organisations and invited experts worldwide participate in the Global Forum every year. Participation is by invitation only and restricted to officials from competition authorities, government agencies and international/ regional organisations. Representatives of the business community and trade movements can contribute to the discussions through the Business and Advisory Committee to the OECD (BIAC), the Trade Union Advisory Committee (TUAC). The Global Forum also welcomes the participation of Consumers International each year, an important voice for consumers particularly in developing countries. Requests for information can be sent to angelique.servin@oecd.org. How can competition contribute to fairer societies? For more details on each session, click on the name of the discussion. 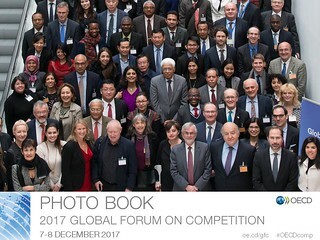 Since 2001, the OECD Global Forum on Competition has gathered high-level competition officials to discuss a wide variety of competition-related topics.